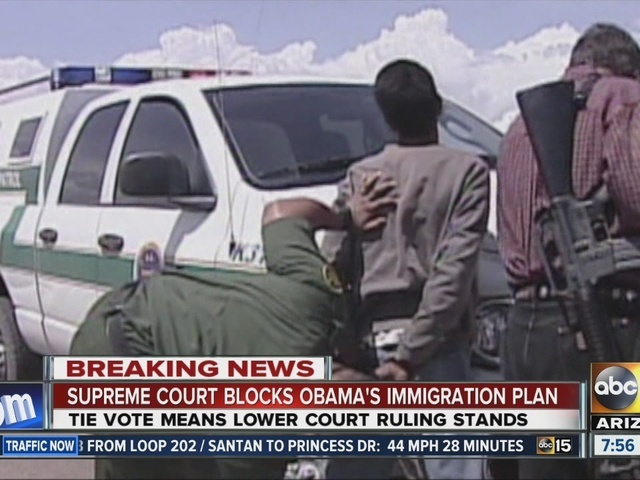 The Supreme Court deadlocked Thursday on President Barack Obama's immigration plan that sought to shield millions living in the U.S. illegally from deportation, effectively killing the plan for the rest of his presidency. The Obama administration announced the programs -- protections for parents of children who are in the country legally and an expansion of the program that benefits people who were brought to this country as children -- in November 2014. 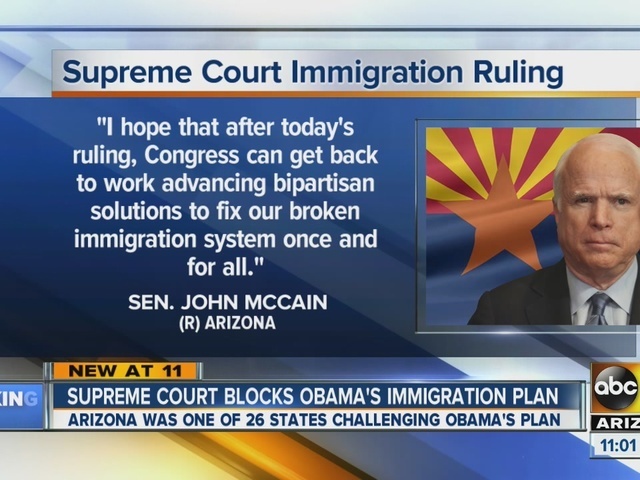 Obama decided to move forward after Republicans won control of the Senate in the 2014 midterm elections, and the chances for an immigration overhaul, already remote, were further diminished. If Clinton wins, the Senate will at some point fill the vacancy created by Scalia's death -- either with Obama's nominee, Judge Merrick Garland, or a Clinton choice. In either case, legal challenges to executive action under her administration would come to a court that would have a majority of Democratic-appointed justices and, in all likelihood, give efforts to help immigrants a friendlier reception.